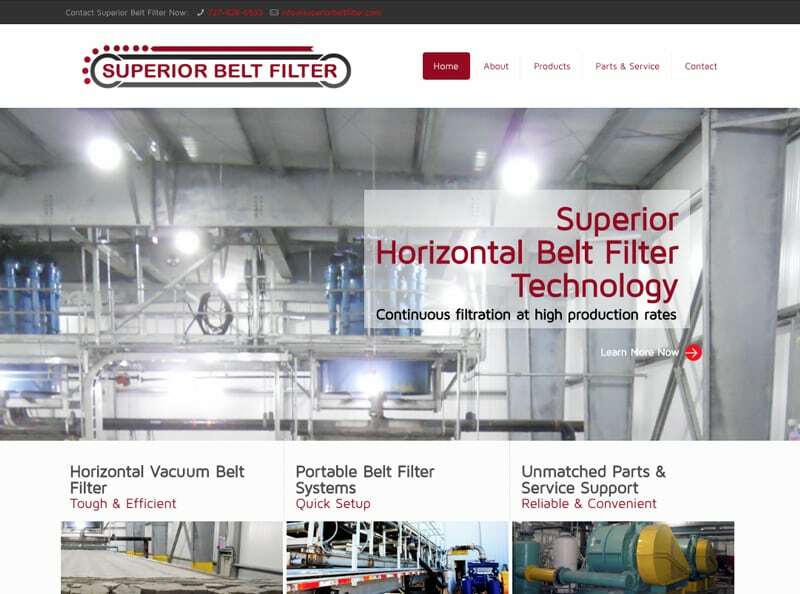 Superior Belt Filter, LLC was formed to develop a new horizontal vacuum belt filter specifically designed for FGD gypsum slurries. Since first producing their Horizontal Belt Filter, SBF has designed, fabricated and placed in operation several portable horizontal vacuum belt filter systems specifically designed for dewatering FGD gypsum. Website Design, PPC Advertising, Content Marketing and regular Marketing Management.